Contact us now for the latest availability and prices. 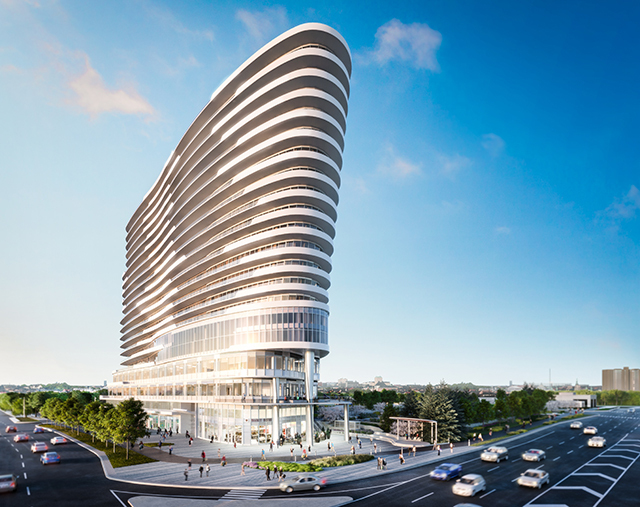 Arc Condominiums tower is the latest addition to Mississauga skyline with master-planned mixed use community. Situated in the bustling Erin Mills community, this iconic building comes with some unique amenities, including community courtyard with running track, gardening plots, open spaces and much more. Also features Farmer's Market. Suites come in all sizes - from studio to specious 3-bedroom and will have impressive features and finishes which include 9-foot ceiling, wood-laminate flooring and a modern kitchen. Located at the southwest corner of Erin Mills Parkway and Eglinton Avenue. Register for your exclusive access to floor plans and price list or call us at 647-834-9928. Platinum status with Daniels Corporation and many other builders giving our clients an advantage over the others.